There is absolutely no doubt this was the most colourful scenery I’ve ever seen! After getting over my initial fear about the long drive to Vermont, I had no other thought than looking forward to a new experience and to a new place. The 7 hours’ drive through the rain and clouds didn’t discourage us, since we knew the sun will come over in the following days. We were already stunned at the beautiful landscaping through the curtain of clouds and the rain intermission, but still ignorant at the upcoming events. 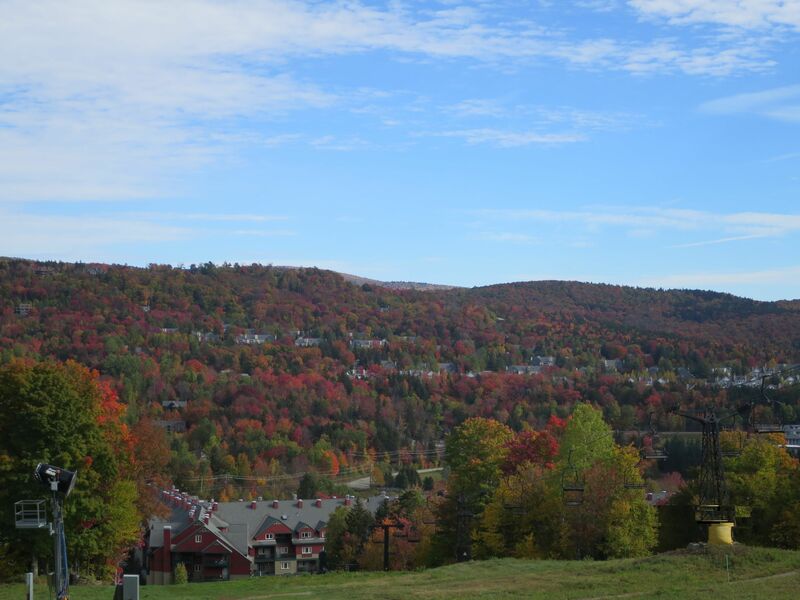 As you might wonder, our destination was Mount Snow, located in the Green Mountain National Forest, Vermont. But how to recognize for a Green Mountain, when all kind of colours and shades of red, yellow and green are surrounding you?.. Following our trail through the hills and mountains, a great journey through the western side of Vermont, was, as you have realized, in the middle of the fall, one of the best seasons when one can visit these wonderful places.